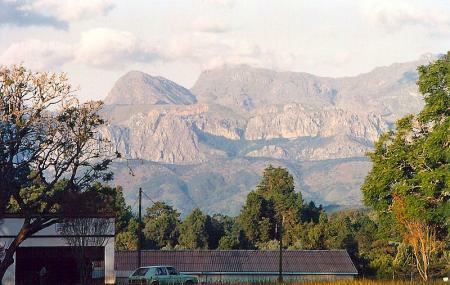 Chimanimani National Park is a natural park which is surrounded by mountains from all sides. It houses several natural trails where you can enjoy hiking. From here you can enjoy the view of the Chimnimani Mountain. It possesses such a scenic beauty that you can sit and appreciate the works of nature. Different types of flora can be found in the park. During hiking in the Chimanimani National Park, you can grab the chance to closely observe the characteristics of the animals which live here. How popular is Chimanimani National Park? People normally club together Fiddlers Green and Publicity Association while planning their visit to Chimanimani National Park. People also prefer to start their day with Chimanimani National Park. A great place for both casual walkers and dedicated ramblers, no paved roads so a little challenging dusty when dry and muddy after rain. The rambling tracks follow well used tracks and allow a great oversight of the mountains waterfalls, rivers and vegetation, pls the glimmer of occasional wild life. A good days outing. Unbelievably beautiful. Friendly people and staff. Great camping spots @ the Mutekeswane base camp. Loved it and will definitely go back.